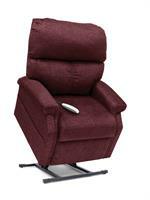 Comfortable, cushioned seat and backrest are water-tight and easy to clean. 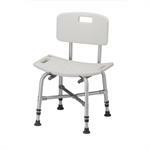 • Seat height is adjustable in 1" increments. 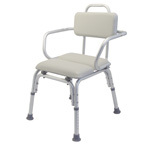 • Available with or without support arms. • Designed to meet the requirements of HCPCS code: E0245.